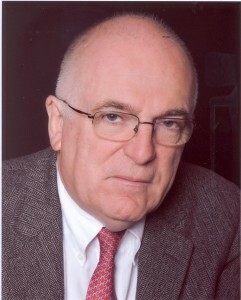 Photo: Sir Richard Dearlove, former head of Great Britain’s MI-6 intelligence agency. For more than a decade since the Iraq invasion, President Bush, Prime Minister Blair and their senior aides have stuck to the story of innocent intelligence mistakes and evaded accountability. But the code of silence may crack if top British spy Richard Dearlove tells his story, says ex-UK intelligence officer Annie Machon. In a surprising statement last weekend, the former head of Great Britain’s foreign intelligence-gathering agency, MI6, suggested that he might break the code of omerta around the fraudulent intelligence case – including the so-called “dodgy dossier” – that was used as the pretext for the Iraq War in 2003. Most memorably in the UK, the dossier led to the ”Brits 45 minutes from Doom” front-page headline in Rupert Murdoch’s The Sun newspaper, no less, on the eve of the crucial war vote in Parliament. The claim was that Iraq’s Saddam Hussein could deliver deadly germ warfare against British troops and tourists in Cyrus in only 45 minutes. There is no sign in the minutes that anyone hiccupped — much less demurred — at ”making a case for war” in this dishonest fashion, let alone objected that Blair and Bush were preparing to launch a “war of aggression” outlawed by the post-World War II Nuremberg Tribunal and the UN Charter. And Dearlove seems well aware of this – his original plan was for his account to be made available after his death. I can see why he would plan it that way. First, he would escape prosecution, and second, he could protect his reputation for posterity. But an earlier disclosure by Dearlove could put Blair and Bush back in the spotlight.